The Road Less Travelled: Happy New Year and a Giveaway! Our 2nd Annual New Years Eve Party was a success! It was fabulous ringing in the New Year with friends and even better to meet new people and get to know others we hadn't had a chance to hang out with much. God is good! My husband makes a mean lemon drop and was a fantastic host for the party! My in-laws bought the kids Kinect for Christmas so we had a dance party all night long. The little kids were tearin' up the floor! Waiting for the ball to drop in NY. Sometimes his abilities make me jealous. 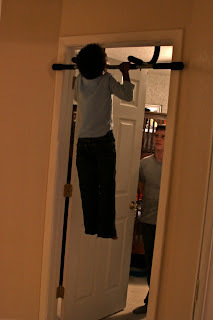 Yes, he's six and yes he can do a dead weight pull up. While I don't really dig New Years Resolutions I did make one. Don't laugh. I'm keeping it real. I wanted to be realistic and commit to showering by noon. Okay no 9am. Yes, I know its lofty. One thing I want to do better is make purchases that give back. We did a lot of that for gifts this year but I want to do more. There are lots of ways to make a difference. Adoptive families that are fund raising, great organizations that sell items to raise funds, etc. I'll be posting some of my favorites throughout the year. For starters you should go check out the Fundraiser Raffle my buddy Emily is doing for Dube Bute. Yep, right over here! Great cause, awesome prizes for one lucky winner and what better way to spend $10 bucks. Or $20, or $30, or whatever you choose to donate. Check out some of the awesome prizes below. Looks like ya'll had a fun night! Happy New Year to ya'll! Thanks friend! Crazy, lofty goal this year. 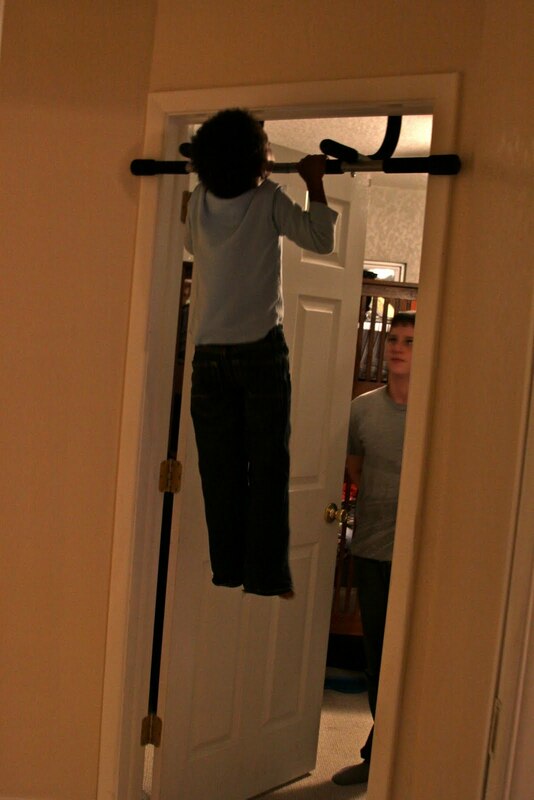 I couldn't do it.